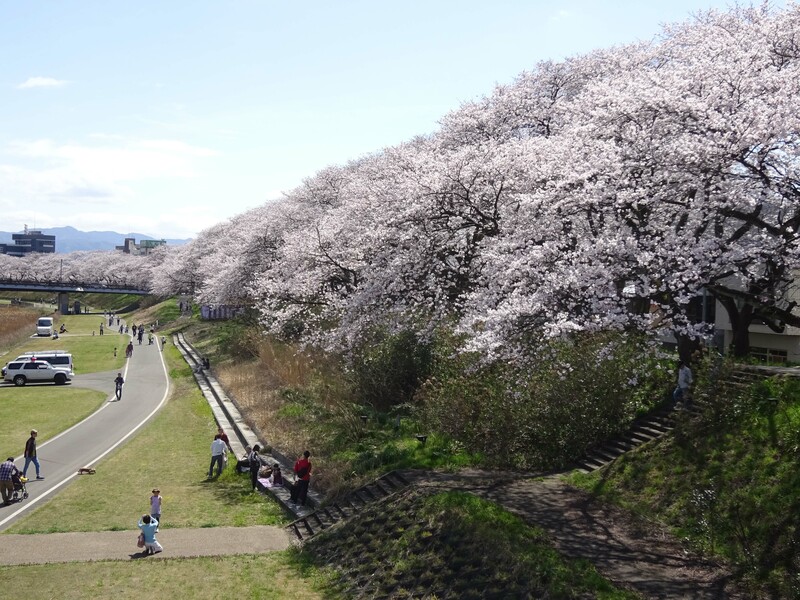 Asuwa river is very famous HANAMI spot in Fukui, that is one of ”Japan’s Top 100 Cherry Blossom Viewing Sites”♡!! 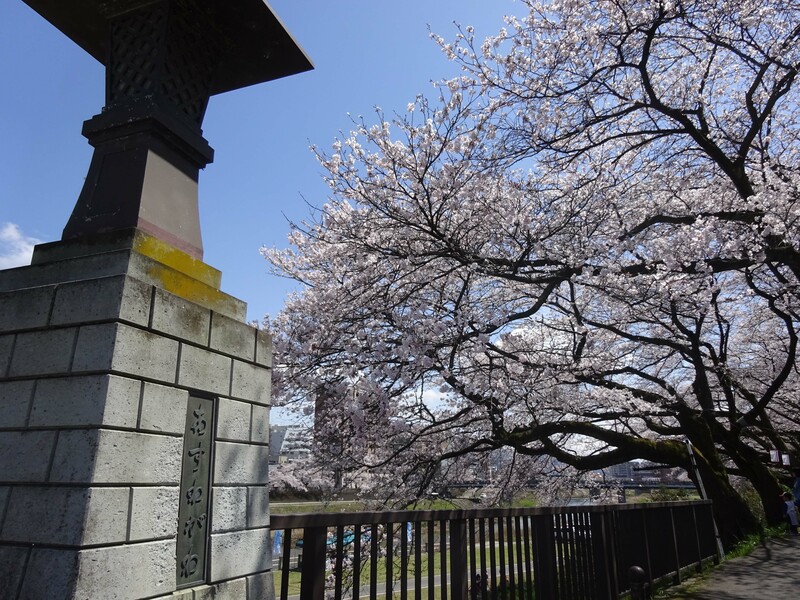 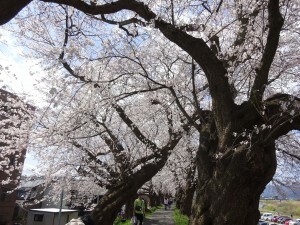 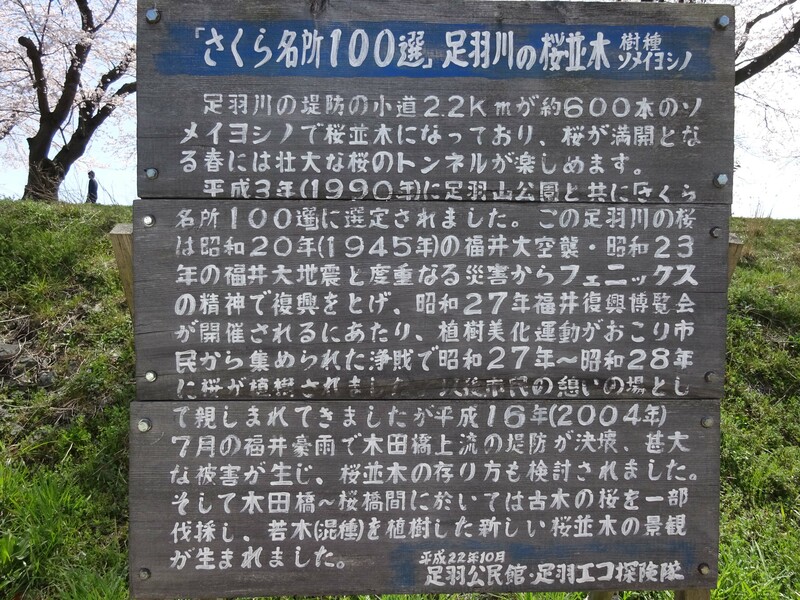 To tell the truth, both amount & distance of cherry blossom here are not No.1 in Japan, but each trees are old and huge. 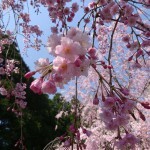 That’s why here is the No.1 scale cherry blossom. 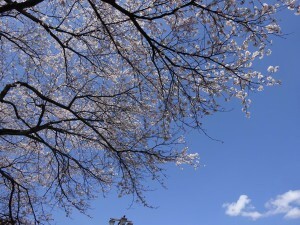 In this year, it bloomed earlier than usual due to the warm weather. 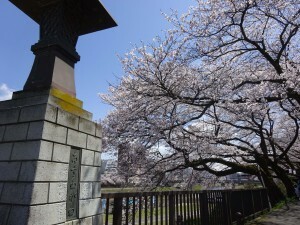 Cherry blossoms got full bloom on 2nd April♡!! 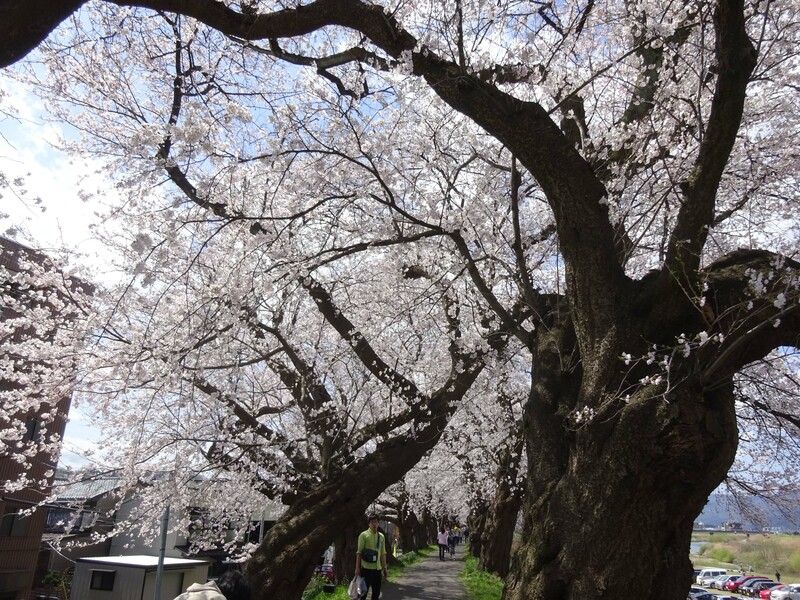 Pink tunnel lasts so far….! 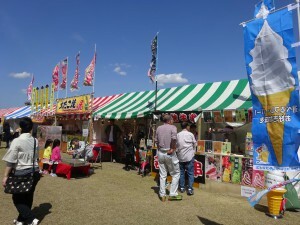 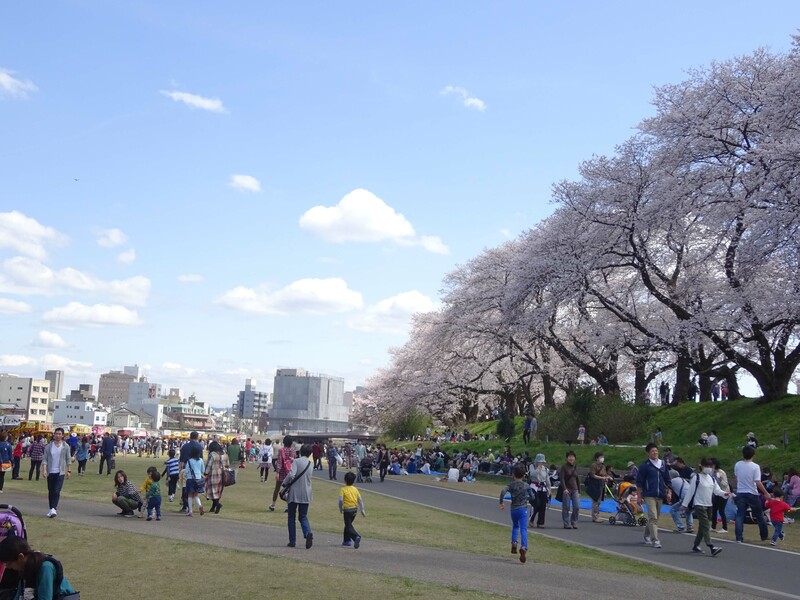 A lot of people enjoy HANAMI from the morning to the night. One thing that surprised me is there’re no trash boxes here but it really clean. 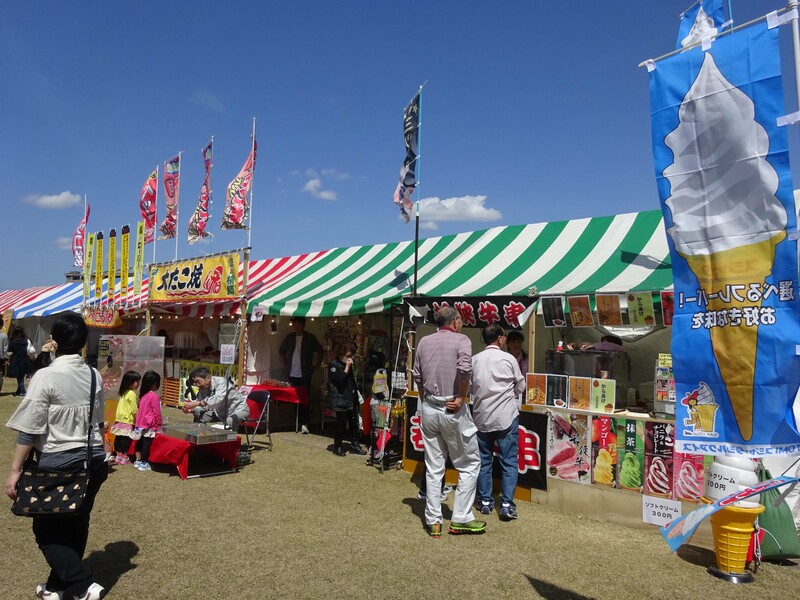 People return the trash to street stalls which they bought something from them, or people bring back trash by themselves to there home. 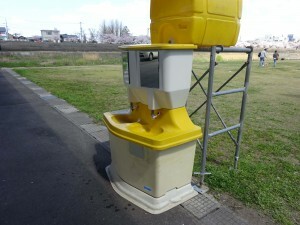 Off course, there are toilet and hand washing place. 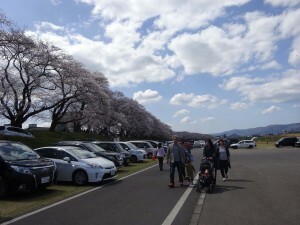 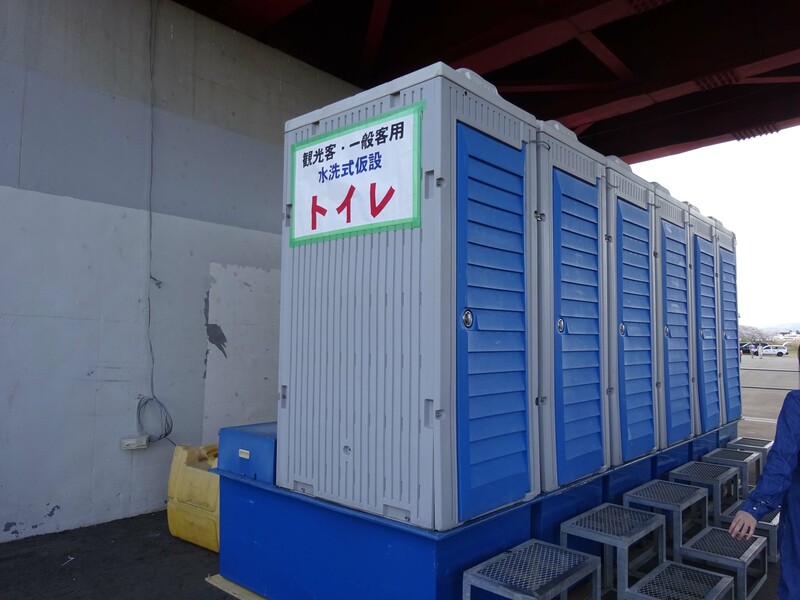 There’re temporary parking area, but I recommend to walk from Fukui station along the Asuwa river. 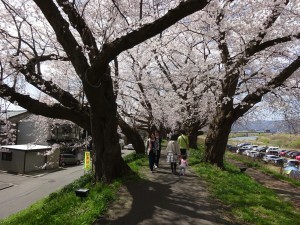 You can relax just seeing or walking under the cherry blossoms.